Nose: sweet, complex, bright fruits, grassy, grape seeds, orange peel. Mouth: strong, grassy, oak, spices with a nice sweetness. Finish: bitter-sweet, spicy oak, some wood smoke. Conclusion: one of the whisky that I can not really decipher. But it's good, no question, it's fun to sniff and taste, even if you do not get the flavors apart. Won in 2014 a "Silver Medal" at "The Malt Maniacs Awards" with 85 points! In the category "Daily Dram Best Natural" the malt won the first prize! I was pleasantly surprised by this one. I wasn't at all impressed by Loch Lomond NAS, so I wasn't really sure what to expect. However, other than a hint of sawdust and cardboard in the finish, this was nothing like my first Loch Lomond experience. It is still quite clear (well, to me at least) that the distillate is not exactly stunning, but the casks were well chosen and blended together with care. It's definitely a spicy one. Still good, though. 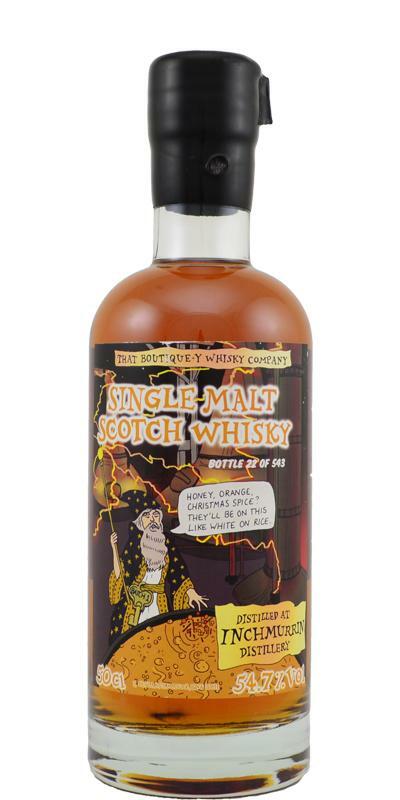 Nose: Rich, honeyed barley, white grape, perhaps even Ribena, sweet orange and demerara.Palate: Sensational and spicy! Rich Christmas spicesFinish: Yummy, cakey, ginger, honey, spicy. Cor, yeah. Long.Overall: What kinda witchcraft is this? Oh, it's wizardry you say? That's alright then. Good work chaps.